My husband loves nothing more than a juicy, thick and big slice of tenderloin steak. When not cooked right, the outside can be burned, but the inside uncooked. This can be quite a dilemma and a waste of good meat. Since those early days of our marriage, I have learned to do sous vide cooking. Sous vide may sound complicated, but only because it is a French word, but the technique itself is easy and can be done by anybody. What is the sous vide? Sous vide is a method of cooking used by restaurants, but have over time, also found popularity among homemakers who want to learn and try something new. In simple terms, food, usually meat, is placed inside a plastic food bag and is submerged in water. The temperature and cooking time is set, and you leave it be. Since the food does not directly get cooked with fire, there is no drying out, no burned food. The food, though, is cooked by the heat from the water, so it remains juicy and flavorful, and most especially, tender. Why should we try sous vide at home? We like our steaks tender and juicy. When we barbecue it over the fire, it tends to get tough and dry. When we do sous vide, we cook the meat inside the bag; it does not directly touch the fire, so it does not dry out. It is cooked evenly and remains juicy. We can now enjoy tender steak or pork chop without having to buy the premium parts of the meat. We can get the cheaper portions, like brisket or pork shoulder. Since the meat is cooked inside the bag, we can put inside with the flesh the flavors and spices. It will allow these flavors to seep into the meat during the slow-cooking. Sous vide will make them tender and juicy, and they will taste expensive. Whenever we are cooking something, we have to keep a close watch to make sure food is not burned. Sous vide makes a science out of cooking; we can set the temperature and the duration, and while it is making sous vide magic on our food, we can do other chores, or when hosting guests, we can enjoy the party with them. When using sous vide cooker, it is even made more straightforward because the temperature and time can be pre-set. In short, cooking becomes more enjoyable, and not at all stressful. 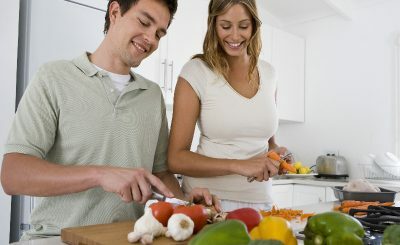 When cooking, the nutrients are locked in. Since they do not come in contact with fire or water, the nutrients are not diluted nor changed. It also uses less oil, thus less fat. While it is good to have oil or butter inside the bag for dry foods, it is still considerably less compared to deep-fry cooking. Meat, for example, can be bought in bulk and cooked sous vide so we can already ensure its tenderness. But we don’t have to cook everything. We can vacuum-seal it and freeze. When ready to be prepared, it would just need to be reheated. Or like in the case of steak, it would need to be thawed then given a quick finishing on the grill for the perfect sear. If we are cooking foods, usually desserts, that have to set or form, use glass jars or mason jars instead of plastic bags. A good example is a custard. Use a top vacuum sealer for sous vide to seal your veggie bags. For meats and other foods, we can use Ziploc bags, but for vegetables, it is essential to remove air out of the bag totally, and that can be done through vacuum-sealing. If air remains inside the Ziploc bag, it will cause the bag to float, and thus, unevenly cook the vegetables. 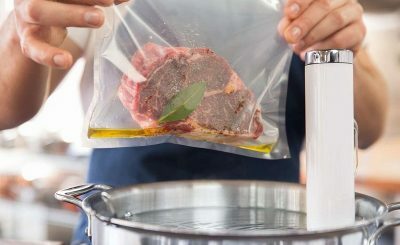 Put oil or butter inside the bag when sous vide cooking protein, like meat. But if our meat already has a wet marinade, there is no need to add oil. If we have a dry marinade, like herbs, then yes, please add oil. The oil will move around the food inside the bag so it would not be stuck in a seam or edge. Cover the water bath so it would not evaporate. If we are using the immersion circulator, there are lids specific to sous vide because it has a cut-out meant for the immersion circulator to fit through. If we are using a big pot of water, we can cover it with a stretch plastic wrap. So when hot water evaporates, it will be trapped by the cover and the condensation will return to the tank. There are many advantages to sous vide cooking. 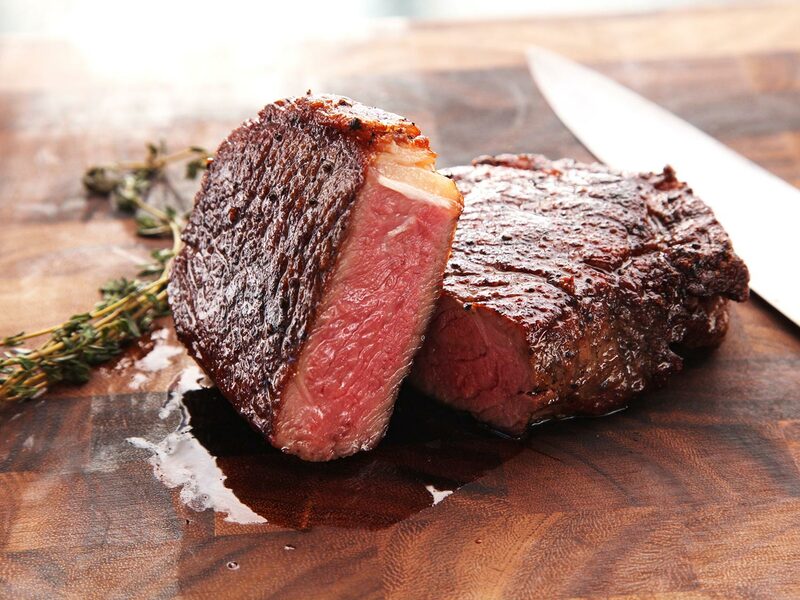 If we like our steak juicy, tender and flavorful, then we should start preparing the sous vide way. We can do this with our meat, fish, and vegetables and even use this technique for desserts. Don’t be afraid to try it!